adm donate resources to shelters working to empower young women in Mexico through education. 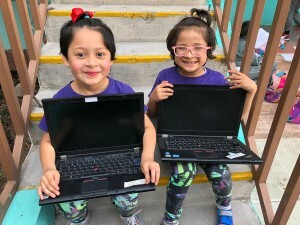 As part of adm’s wider CSR strategy and an ongoing effort to target gender inequality worldwide, company representatives recently donated hardware, software and Wi-Fi to Mexican shelters striving to empower underprivileged young women and girls through education. As a result of adm’s donations, around 250 residents will benefit from enhanced learning resources, paving the way towards independent and fruitful futures. 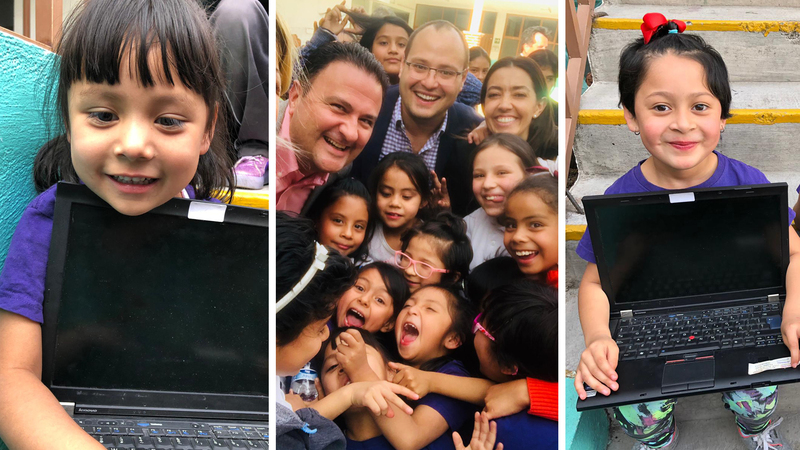 Working with NGO DreamIT and packaging and distribution company Flight Logistics, 34 laptops equipped with educational programmes were successfully distributed across three separate shelters: Fundacion Casa de las Mercedes, Casa Hogar Amparo and Casa Alto Refugio. adm have also covered the cost of Wi-Fi and classroom equipment to ensure optimal learning environments. Among those visiting the shelters was adm’s Global Procurement Director, David Griffiths. He said, “The young girls have come from tremendously difficult backgrounds and now find themselves in an environment where they are cared for and loved. It’s incredible to see first-hand how well the homes are set up and the quality of care offered. It is an honour to be able to meet them and play a small part in supporting their education and independence”. adm intend to offer continued support to these worthwhile causes, with plans already in place to repaint the shelters and fund additional activities for residents in the near future. The 23-year-old non-profit foundation has three care homes in Mexico and works to reduce the rate of girls falling victim to social abandonment and exploitation. It provides comprehensive care and protection for a total of 73 girls. Many of their parents are in jail and without Fundacion Casa de las Mercedes they would be living on the street. 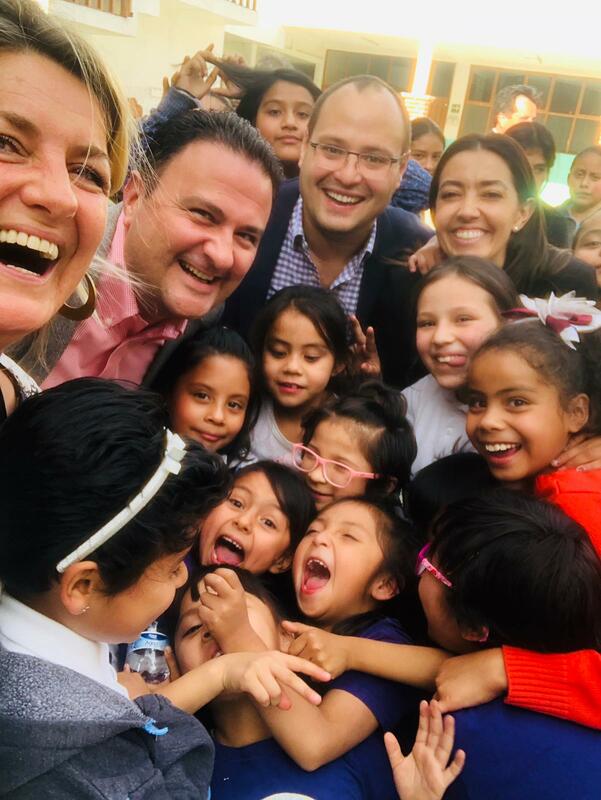 Casa Hogar Amparo was founded in 1943 to support Mexican girls from turbulent family backgrounds with scarce resources. The shelter welcomes residents from four to 18 years of age and provides them with a genuine family atmosphere and a sense of identity. With values based on love and support, Casa Hogar Amparo guarantees a space for personal growth and development. Casa Alto Refugio is a non-profit institution that protects and guides minors with no parents and/or those who have suffered abuse. Girls and boys between eight and 19 years old are supported until adulthood, at which point they are ready to independently integrate into society. A special thanks to DreamIT’s Alex Gracia de Saro and Mona Beigstraaten who played a pivotal role in the project, working with adm and the chosen shelters to organise hardware, software and Wi-Fi donations.